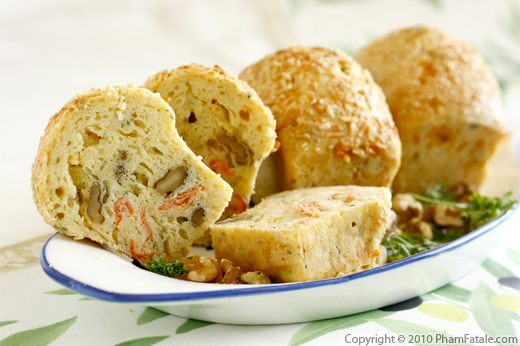 Savory cakes ("le cake salé" in French) are the perfect dish if you want to serve a light, enjoyable lunch. Cake salé, as the name implies, is just a savory adaptation of a sweet cake. 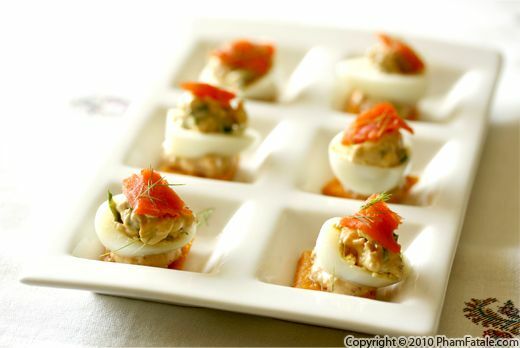 Sugar, chocolate and fruits are replaced with cold meats/ or fish (I used smoked salmon), olives and strong cheeses. 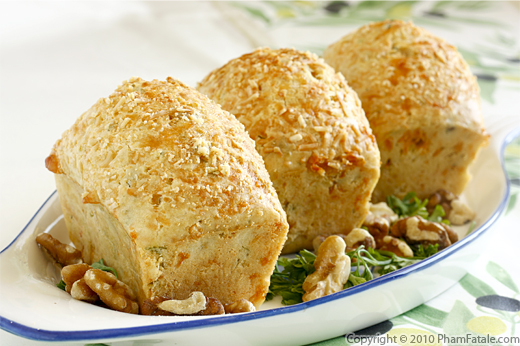 For a nice contrast in texture, I added walnuts. Instead of baking the cake in a standard loaf pan, I used individual mini molds. So cute! This cake is also ideal for picnics and potlucks, as it meets all the requirements for safe transport. No need to re-heat! I recently served cake salé with a candied walnut salad and finished the meal with a fruit medley. It was a flavorful meal that no one felt guilty about afterwards! 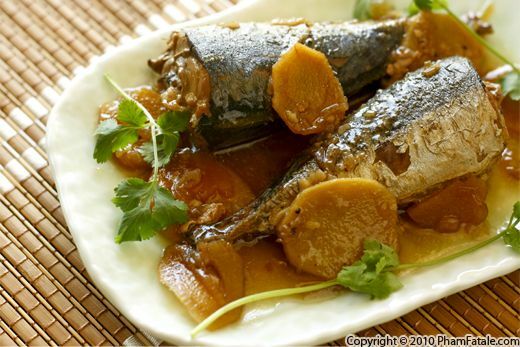 Tilapia is an easy fish to prepare but can be pretty bland on its own. To enhance the flavor, I breaded the fish with a blend of shortbread cookies, white miso paste, wasabi and nori sheets. I covered the fish fillets with nori-flavored breading, pan-fried it and finish the cooking in the oven. If you're trying to introduce seafood to your children, I think tilapia is a good fish to start with. It's mild in flavor and the other plus is it's inexpensive. 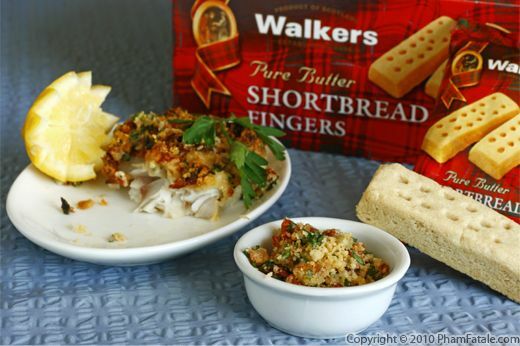 This lemon crusted fish recipe is my attempt to create a savory dish using the Walkers shortbread cookies I recently received. Instead of using bread crumbs, I finely ground shortbread cookies that I blended with sun-dried tomatoes, parsley, candied kumquats, lemon zest and a few other spices. I used mahi mahi because it's a great way to introduce fish to children, as the flesh is more subtle in flavor than any other fish. When properly cooked, mahi mahi is flaky with bright, firm flesh. To make the dish, I very briefly seared the fish, covered the fillets with the lemon crust and bakes them for a few minutes. It was as simple as that! 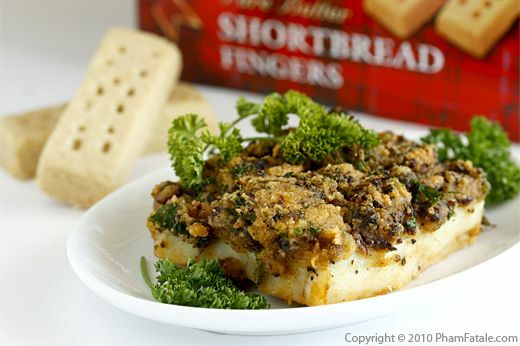 The shortbread crust has a buttery flavor and mild sweetness that really accentuates the fish. I set some aside and the girls were eating the crust by itself. 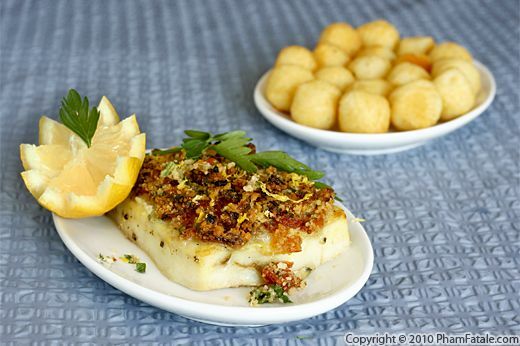 It was such a hit that I’m thinking of recreating the dish with fried tofu instead of fish. Stay tuned. Page 4 of 13 pages.